StarQuest is one of the premier dance competition companies for children of all ages. With 65+ venues annually, the StarQuest team of tour groups produce flawless productions and create lifetime memories for young dancers nationwide. Part of their success can be attributed to their dedication to detailed preparation, streamlined logistics & on-time performances. US Case recently had the pleasure of working with the staff at StarQuest to further improve their efficiencies during setup with a series of cases to assist during their registration process and awards ceremony. 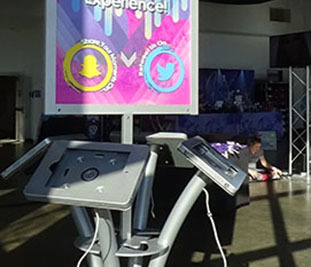 With the implementation of our clamshell cases for kiosks as well as backstage drawer cases & workstations, time saved for deployment during the StarQuest setup process was significantly improved. US Case can help your organization as well with similar cases. 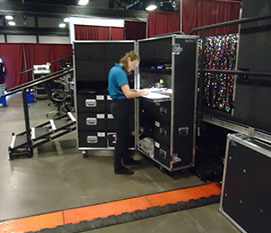 We can also provide cases for other areas of stage event operations including tray cases for speakers & podiums, workstation cases for video and sound consoles, as well as cases for lighting, monitors, projectors, computers, and amenities. 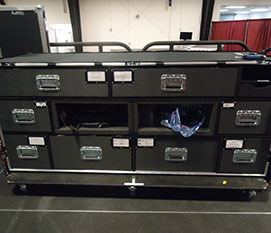 Our cases can be configured to include lighting, A/C power outlets, & label plates. Contact US Case today or use our Request For Quote form to see how we can help make you the Star at your next event.